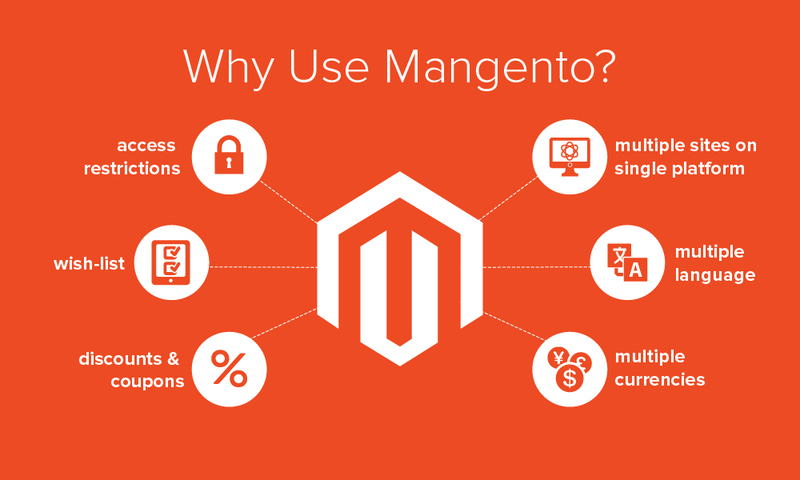 What Is Magento E-commerce Platform? Magento Commerce erases the boundaries of what is possible, giving you the power to create bold and unique shopping experiences that will transform your business. Built for rapid and cost-effective innovation, the platform combines rich, out-of-the-box functionality, enterprise performance and scale, and powerful business tools to keep you ahead of increasingly complex commerce operations and growing customer demands. Craft unique experiences with easy-to-use content and merchandising capabilities. Deliver seamless shopping across devices. Segment and target shoppers with personalized content, promotions, and pricing. Fulfil customer orders the way they want with ship-from-store and pick-up-in-store. Expand your business by efficiently managing multiple B2B and B2C sites from one interface. Sell anywhere in the world with a global cloud platform built for multiple languages, currencies, and tax policies. Support new business models, including subscriptions, digital goods, services, and more. Fuel your growth with over 100 business intelligence reports. Easily keep your site fresh with content staging, preview, and scheduling capabilities. Optimize content and product categories with simple drag-and-drop tools. Manage every aspect of your store with intuitive, customizable control panels. Boost conversion rates for returning shoppers with a new Instant Purchase checkout option. Customers can use previously-stored payment credentials and shipping information to skip checkout steps, making the process faster and easier, especially for mobile shoppers. Optimize product category pages to drive higher sales by arranging products with a simple drag-and-drop interface or sorting rules that order products by bestseller, colour, highest margin, or newest addition. Save time by setting rules to automatically assign products to specific categories based on their attributes, such as brand, price, or date created. Handle large catalogs and easily scale search capacity as queries grow with integrated Elasticsearch technology. Elasticsearch offers suggestions for customer friction-free purchasing with quick order forms, requisition lists, and a streamlined request for quote workflow encourages repeat purchases and long-term customer loyalty. Work efficiently with a modern and intuitive user interface. A dashboard lets you monitor your business with quick access to sales, order, search term and best-selling product data. Enhanced navigation and search make it easy to find information, and management screens can be customized and saved to speed up day-to-day tasks. Would you like to speak to one of our technical advisers over the phone?